* END OF SEASON SALE – BE QUICK, LIMITED STOCKS LEFT: Save Up To £30 For A Limited Time! When buying logs for your wood burning stove, the two most significant factors which affect the heat output and how long they burn are the moisture content and wood species. 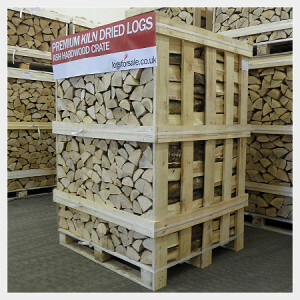 Our company was founded in response to the lack of dry, quality hardwood logs for sale nationwide. With a focus on quality and our dedicated day delivery service to match, we now supply over 10,000 customers each year across the UK. Typically firewood for sale locally from traditional sellers requires another few years to sufficiently dry out before being ready to burn, resulting in miserable fires that smoulder and produce very little heat. 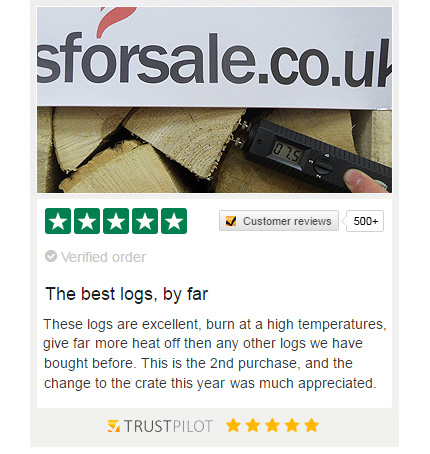 Sadly this is common across the whole of the country, and we find the vast majority of customers turn to us after being sold semi-seasoned or fresh, wet logs from local suppliers who simply aren’t able to keep up with demand. 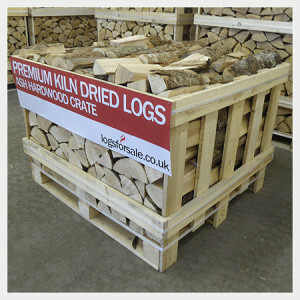 Good quality kiln dried logs that are low in moisture are essential for safe and efficient combustion of your wood-burning stove, as the moisture content dictates the heat output and calorific value of your logs. The lower the moisture, the more kilowatts produced with cleaner, more efficient fires that require fewer logs, making your fires much easier to light and maintain. All of our kiln dried logs are dried between 10-20% moisture content and contain at least twice the energy than seasoned logs – this means despite the higher premium for kiln dried wood, essentially you are paying the same per unit of energy, with a much more safe and efficient product. With an operator closely monitoring the internal temperature and humidity levels within the kiln, by using modern controls fine adjustments are made during the drying cycle to ensure your logs are thoroughly dried and ready to burn. 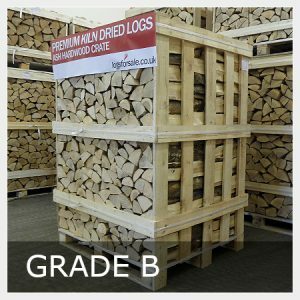 Our Birch, Ash and Oak logs are dense kiln dried hardwood logs from slow growing deciduous trees, providing significantly longer burn times than softwoods. We recommend choosing the species which best suits your daily usage – listed below in order of density.